Below you fill find all funeral homes and cemeteries in or near Nazareth. 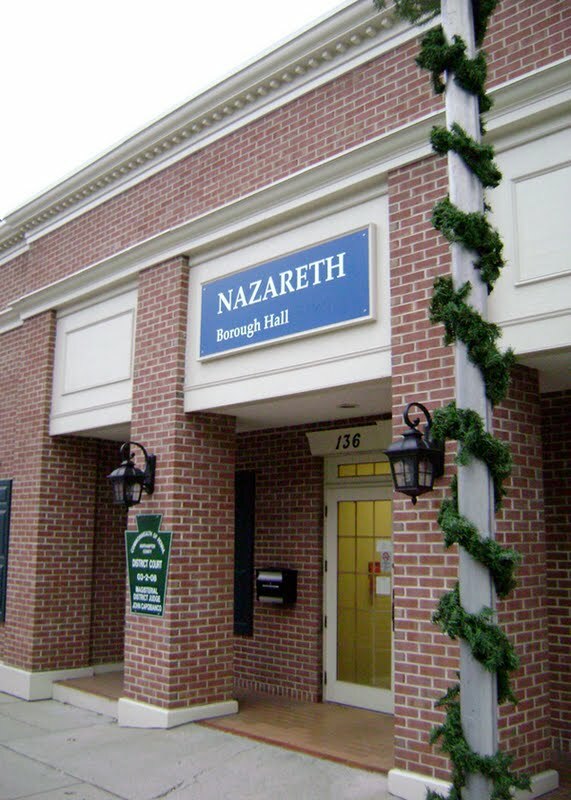 Nazareth is also known as: Northampton County / Nazareth borough and ????. Zip codes in the city: 18064. Some of the notable people born here have been: (joe kovacs), (edward j. yowell), (sage karam), and (marco andretti). Nazareth is a borough in Northampton County, Pennsylvania, in the United States. The population was 5,746 at the 2010 census.Nazareth is located seven miles (11 km) northwest of Easton, four miles (6 km) north of Bethlehem and twelve miles (19 km) northeast of Allentown. It is located in the center of Northampton County, and is part of Pennsylvania's Lehigh Valley region. It was revealed by Orlando Sentinel on January 21st, 2018 that Doris Jane Barber died in Winter Park, Florida. Barber was 91 years old and was born in Nazareth, PA. Send flowers to share your condolences and honor Doris Jane's life. It was written on November 16th, 2017 that Mary L Desantis (Genovario) passed on in Nazareth, Pennsylvania. Ms. Desantis was 92 years old and was born in Elizabeth, NJ. Send flowers to express your sympathy and honor Mary L's life. It was noted by The Roanoke Times & World News on July 23rd, 2017 that Genevieve Roscoe (Stier) passed on in Roanoke, Virginia. Ms. Roscoe was 100 years old and was born in Nazareth, PA. Send flowers to share your condolences and honor Genevieve's life. It was noted by The Roanoke Times & World News on March 12th, 2016 that Thelma Lucas (Flory) passed on in Christiansburg, Virginia. Ms. Lucas was 83 years old and was born in Nazareth, PA. Send flowers to express your sympathy and honor Thelma's life. It was reported on December 16th, 2015 that Robert James Bartholomew passed on in Wickenburg, Arizona. Bartholomew was 74 years old and was born in Nazareth, PA. Send flowers to share your condolences and honor Robert James's life. It was revealed by Williamsport Sun-Gazette on October 13th, 2015 that Mary Farrow (Shriner) passed on in Nazareth, Pennsylvania. Ms. Farrow was 92 years old. Send flowers to express your sympathy and honor Mary's life. It was revealed by Orange County Register on May 17th, 2013 that Earl Kenneth Snyder died in Costa Mesa, California. Snyder was 79 years old and was born in Nazareth, PA. Send flowers to share your condolences and honor Earl Kenneth's life. It was written by Williamsport Sun-Gazette on May 4th, 2013 that Mary Ann Edler (McErn) passed away in Nazareth, Pennsylvania. Ms. Edler was 81 years old. Send flowers to express your sympathy and honor Mary Ann's life. It was written by Ottawa Daily Times on January 16th, 2013 that Ella Budias (Walakovitz) passed on in Ottawa, Illinois. Ms. Budias was 84 years old and was born in Nazareth, PA. Send flowers to express your sorrow and honor Ella's life. It was noted by Ocala Star Banner on October 23rd, 2012 that Theodore G "Ted" Stout passed on in Summerfield, Florida. Stout was 84 years old and was born in Nazareth, PA. Send flowers to express your sorrow and honor Theodore G "Ted"'s life. Nazareth is a borough in Northampton County, Pennsylvania County, Pennsylvania, in the United States. The population was 6,023 at the 2000 United States Census census. . . .
STATEN ISLAND, N.Y. Native Staten Islander Raechel Verterano, 57, of Nazareth, Pa., a special education teacher and a ... Gerald and Josephine Massa. The funeral service will be Wednesday at 10 a.m. in Christian Pentecostal Church. Listing all funeral homes in Nazareth, Pennsylvania so you can easily send flowers to any location (same day delivery) or find any funeral service. We work with local florists and flower shops to offer same day delivery. You will find budget sympathy flowers in Nazareth here. Our funeral flowers are cheap in price but not in value.